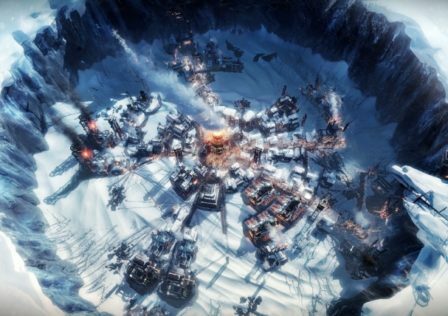 Hi, I'm a Game Designer for Xamã Entertainment and this is my opinion on what brings Frostpunk from being a good game to being a excellent game, or maybe even a Masterpiece of the Survival RTS genre. One word. Atmosphere! 11Bit did a unbelievable good job at interlacing the game mechanics with the game atmosphere. For example, they could have kept the same narrator voice thought the game but the lines change gradually to a more authoritarian or religious figure depending on the laws you make. Hell, the game would mechanically work fine without the announcer in the first place but him being there makes all the difference. Don't even let me start on how great the music is, the melancholic ? slowly getting more and more tense as the storm gets close, to the point that you will be hugging your legs and getting more and more stressed every time the thermometer gets down along side the music. The art direction is great too, the way colors are used to represent your ideological shift your city is taking, from banners on some towers to a full redish and gloomy look on everything. And the way the game react to your decisions is amazing, granted that some scripted events aren't good (like the old man dying on your house healing) but the ones that exist around circumstances like cannibalism, do you know that there is a secret cannibalism law in the game that your can only unlock if circumstances are right ? Anyway, the game is not perfect, there are still some annoying bugs, some laws are pretty unbalanced (either way to good or useless) and fu*k RnG decisions but much like FEAR, the parts that this game shines makes you completely forget whatever problems you might have since you will be too immersed in the game to think about it's shortcomings. 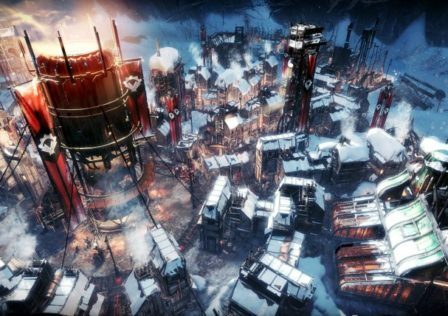 Read: Spoilers - Has anyone gotten no deaths on Winterhome? I expected a really hard game. But you can learn and master it really fast. 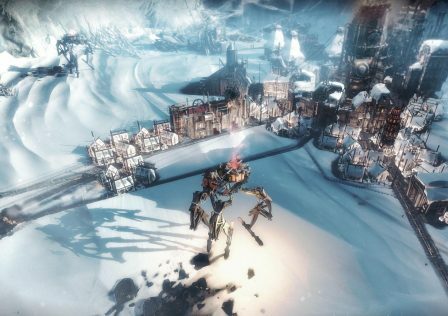 © Post "What other vídeo game companies need to learn from this game." 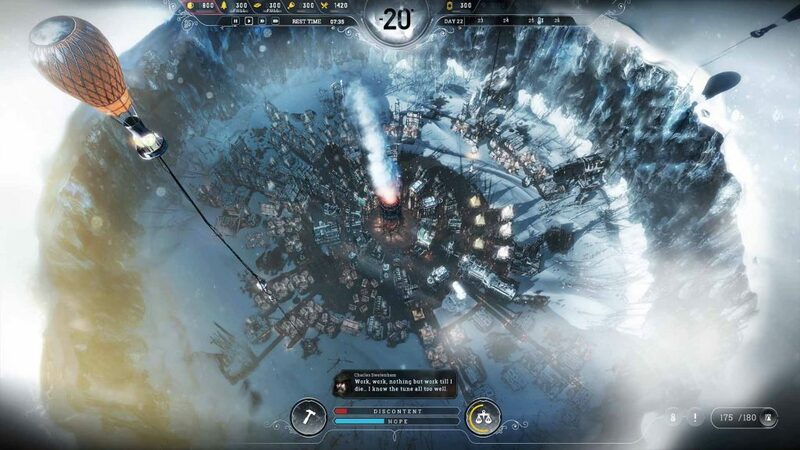 for game Frostpunk.